The Flood Diversion Board of Authority received Statement of Qualifications (SOQ) from six respondents to its Request for Qualifications (RFQ) released to design, build, finance, operate, and maintain the Public-Private Partnership (P3) portion of the FM Area Diversion Project. Members of the Flood Diversion Board of Authority presented an update to the North Dakota Water Topics Overview Committee and the North Dakota State Water Commission, including Gov. Jack Dalrymple, and the in a joint meeting Thursday, Sept. 22 in Bismarck, ND. 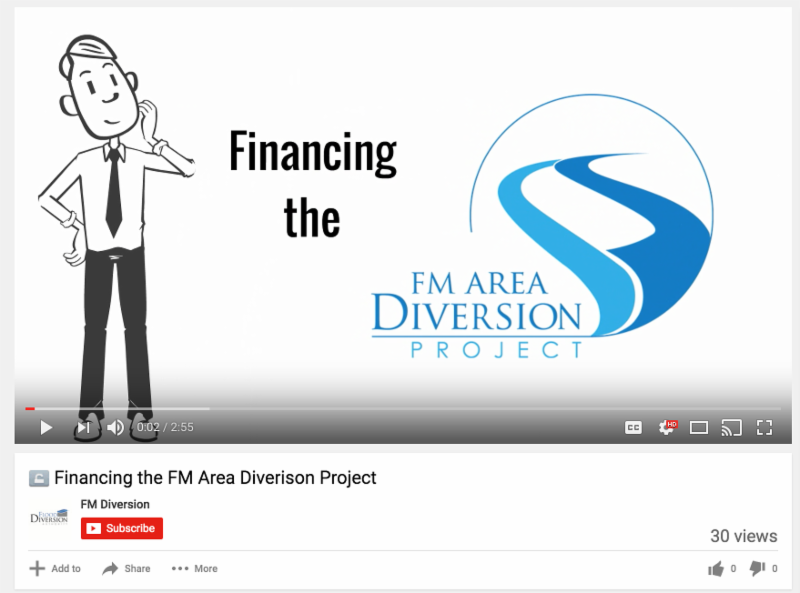 They played a three-minute video explaining the financial plan for the Project. Watch the video here. FAQ: What is the mitigation plan?